Celebrate the true meaning of Christmas with our Christmas Begins with Christ Collection. These gifts are perfectly priced to be used at Christmas get-togethers and gatherings at church, school and home. Each item features the ever popular Bible verse of John 3:16. This decoupage ornament makes for a great gift or give-away during the Christmas season. Includes a ribbon hanger. 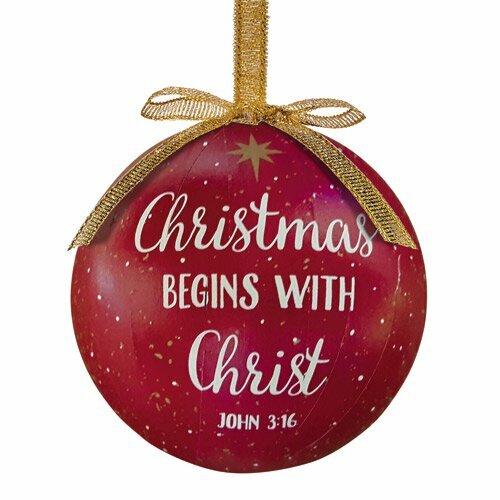 Christmas Begins with Christ Collection includes matching items B3864 - B3875.